Recently I was lucky enough to visit a great farm in Northland. The past season was the first season where EM has been included into his program and they have started to see some great benefits. Currently it is very wet but they are starting to reap the benefits of this soil program as the drainage is impressive and the soil structure has improved a lot. Recently I was lucky enough to visit a great farm in Northland. This mixed operation farm has dairy and beef units and with no irrigation relies heavily on building covers coming out of winter to generate the milk production as Northland typically drys out quickly into the summer. This farmer has recently looked at a more biological fertiliser program loosely based on the Kinsey/Albrecht fertiliser recommendations. The past season was the first season where EM has been included into his program and they have started to see some great benefits. Currently it is very wet but they are starting to reap the benefits of his soil program as the drainage is impressive and the soil structure, with improved friability and great worm numbers has improved dramatically. It was while driving around the farm that we noticed the huge difference in the paddocks/blocks with which he had treated with EM vrs areas which he hadn't. Those blocks were much greener and the pasture was much more dense. 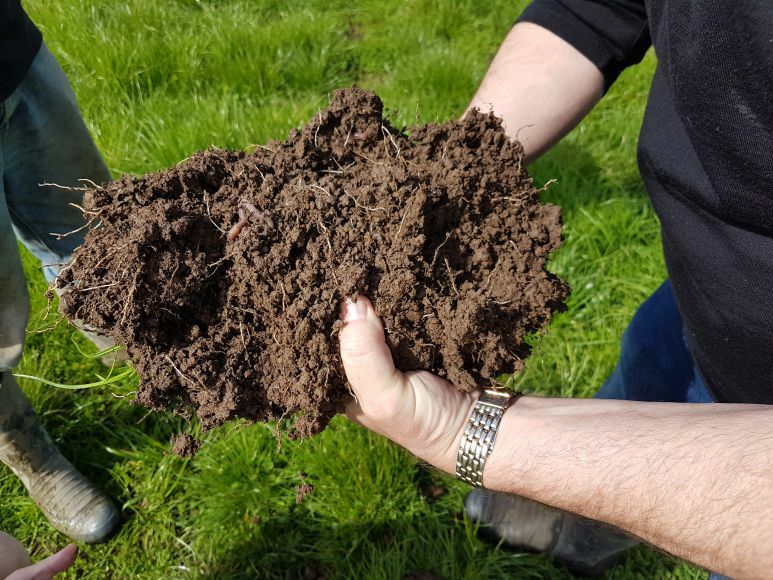 The pictures below give you a good comparison and show the benefits of stimulating soil biology and feeding it with the right nutrients including improving water holding capacity and plant health and vitality. The second video shows the difference between two applications of em versus only one application on the untreated section.